Before Dong Nguyen removed Flappy Bird in early February on Apple App Store and Google Play, the addictive game was the most popular mobile game. These days, the market is flooded by clones of Flappy Bird. Flappy Bird was a game for Android and iPhone that challenged users to earn the highest score possible by tapping the screen to fly the bird between deadly pipes . 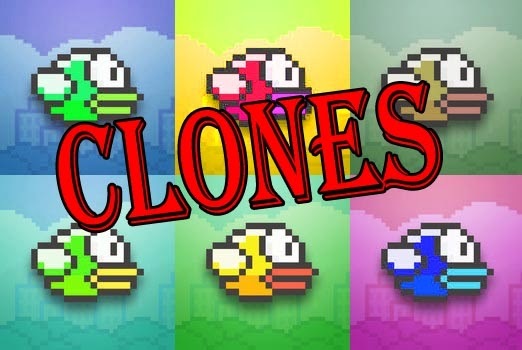 There are clones uploaded daily, the premise of each game is the same, the only difference in most games apply is the theme to the basic concept of Flappy Bird. According to The Guardian, in just 24 hours 95 games copycats of Flappy Bird are being uploaded.